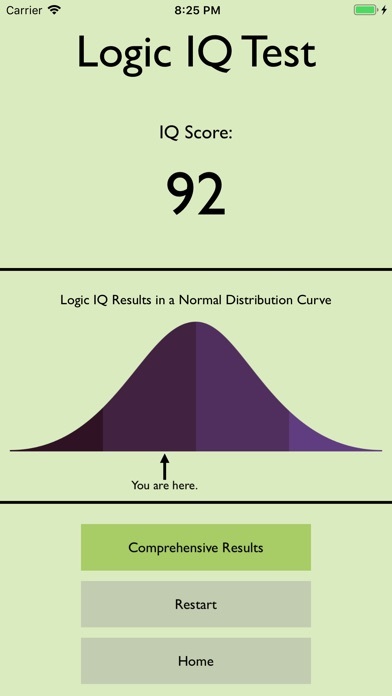 Want to know your IQ Score. 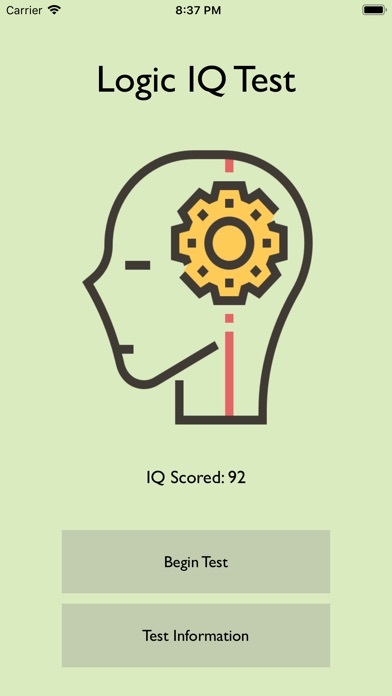 This App focuses on Abstract Reasoning area of the IQ test. 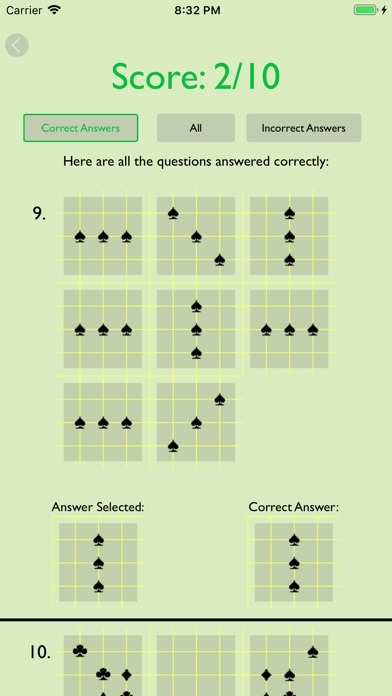 Complete a fast test to receive an IQ score. You will also be able to access which questions are correct and which are incorrect. Lastly, see where you rank among other participants on a distribution graph. 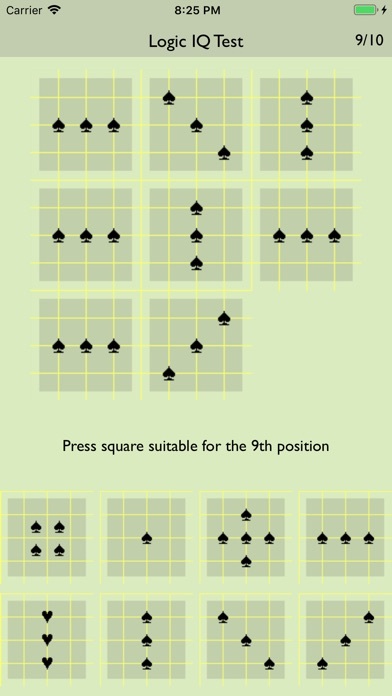 Complete the test several times and average your score amongst the question pool for more accurate results. This test is adequate for practicing for job interviews, minimum enlistment standards and much more.